The concept of the virtual assistants (VA) came to me through Tim Ferris’s best selling novel “The 4 Hour Work Week”. That was back in December 2012. We hired our first assistants that month and haven’t looked back. If there is one thing I know for sure, it’s that the degree of success we had during past couple of years wouldn't have been possible without the help of virtual assistants. There is just not enough time in the day to get everything done and still do your duty. If you are running a business I strongly urge you to consider where a VA might be useful. How Common Are Virtual Assistants? What Are The Advantages/Disadvantages of Using Virtual Assistants? Where to Go to Hire a VA? What Kind Of Virtual Assistant Services Do They Provide? Working Directly Or Through The Platform? Don’t let the virtual part fool you – virtual assistants are real people, but they essentially operate online. As one company that offers virtual assistants put it, a virtual assistant can do everything a regular assistant can do as long as it doesn’t have to be done in person. Our personal experience is mostly with off shore virtual assistants as our tasks are relatively simple and we try to keep labor costs low. That said there are plenty of people in first world countries that work as VAs as well on they should not be overlooked. Moreover, I am also going to introduce some websites that are designed to find you an assistant near you, so the virtual part isn’t even necessary! Let's assume that there are a certain number of types of Virtual Assistants (VAs) that you can hire to work part time on different aspects of your business. Each of these will be highly targeted to a particular piece of technology or skill set. There are seven types of virtual assistants that you should consider using to grow your business. This will most often be the first addition you make to your team. If you're bootstrapping your business and time becomes stretched too thin think about hiring a VA to do some of these more personal tasks for you. These tasks will most often involve things like: email, organization, scheduling, bookkeeping and social media managing etc. This should be a relatively low cost endeavor for you, but if you assign tasks correctly it will free you up to do things that can really impact your business. Email and Scheduling Outsourcing - as your business grows so will the demand on your time. Spending all day in GMail is a giant waste of your time as a founder. Why not delegate some of the mainstream emails and scheduling tasks to someone else? Data Entry and Management - Your business at first very well may run on a combination of Trello and Google Docs. Assigning a VA to manage these treasure troves of data will allow you to keep a cleaner eye on what's going on in your business. Online Research and Lead Generation - Maybe it's the salesman in me talking, but there's nothing better for a business than new business falling in our lap. I call these BlueBirds. They just come along and are such a pleasure to behold. Having someone else do the cold-calling, online database research, email extraction, and initial contact with potential customers is invaluable to you.These are often low return on time activities, so don't waste your valuable time on them. Bookkeeping - Someone has to pay the bills. How else are you going to grow your business into an Empire? Your GVA can keep Freshbooks up to date, send client invoices, pay bills, and overall keep your finances in check. Prudence is warranted here, but with good oversight this is a key place to delegate. Social Media Activity - Twitter, Facebook, LinkedIn, etc. are all full time jobs in a lot of medium sized companies. While it's great for your customers and fans to hear from you directly there are certain things that your virtual assistant can do while you're off making it happen. Blog Maintenance - This would include things like post scheduling, comment replies, WP updates, etc. For many, our website is our main path to our fans and customers. Don't let it lag behind because you're too busy to keep it up to date. This can be particularly helpful if you run a site that has multiple contributors. Email Marketing - If "The Money Is In The List" then why do so few spend any money on the List? Ask someone to take the time to do things like maintaining subscriber lists, creating and curating new campaigns in your email marketing software, create/edit autoresponders and new campaigns, and manage some of the customer service tasks associated with a large email list. You might also call this person a "Front End Developer", but the gist is that this is the person that makes your website look beautiful. We'll leave the rest of the work to the Developer (the person who makes your site work), but this is where all the art on your website happens. Website Design - This is where it all starts for a custom site design. Typically done in Photoshop, the designer will create static images of what different pages and aspects of your site will look like. This will then be handed over to a Front End Developer for them to create a site out of it. Landing Page Design - Typically this won't be done in two separate components like the entire site will be. One person should be able to come up with the layout and flow of a landing page and implement it in code. 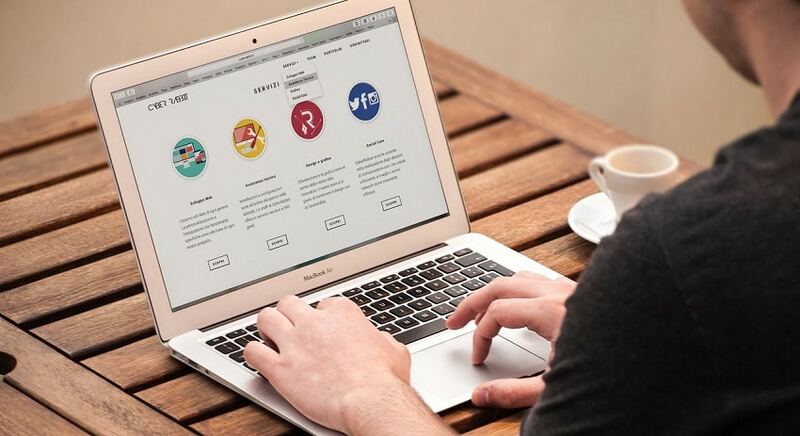 Email Design - with email marketing tools like Aweber, Mailchimp, and Infusionsoft it may be easy to get a start on this by yourself, but eventually you'll want someone to custom build an HTML/CSS email template for your email marketing campaigns. Throw in Responsive Web Design to the mix and this becomes a pretty large project for you to do alone. Responsive Site Redesign - Most new sites these days are built on the platform of HTML5 and responsive design practices, but for older sites it may be necessary to redesign them using Media Queries, which allow the layout of the site to change with different screen sizes. WordPress Customization - WordPress is a Content Management System that powers about 30% of all websites on the internet. It's quickly becoming the "go-to" way for people to get info online quickly and efficiently. This site runs on WordPress. Once you get past some of the basics of these Themes it may be necessary to tweak and customize things further. A WordPress specialist can help with that. Conversion Specialists - Website Conversion Specialists are those who can help you with the layout, flow, design, and aesthetics of a site. When it comes down to it the reality is that all sites have a purpose, and unless that purpose it optimized we're all missing the boat to some extent. As we discussed above, if a Front End Developer/Designer makes your site beautiful then a Backend Developer (or just "Developer" for shorthand) is what actually makes it work. WordPress Plugins/Functionality - As mentioned in #6 above, WordPress is immensely popular and has a ton of functionality built in out of the box. However, it is also incredibly flexible and can be made into any type of web application you can think of. Whether is message boards, custom CRM applications, or a membership site, WordPress can do it all and a top notch PHP developer can help you get there. Database Management - Regardless of how your site is hosted, eventually you'll start accumulating a lot of data on your servers. Database admins are invaluable to your site's health and uptime. In fact, outside of a front end developer this might be my next hire as a startup founder. Nothing hurts an online business worse than site downtime. Custom Applications - If your web business grows outside of the confines of WordPress, or you choose to go this way from the beginning you'll certainly need a web developer to help you make it happen. These devs are so talented at the language they specialize in that it's just incredible. Please, don't attempt to do any of this work yourself. As a founder it's just an enormous waste of your time and skills. Leave it to a professional. Site Optimization - WordPress or Web App, a keen developer will find ways to optimize your site to keep the database clean, site running quickly, and minimizing downtime. This specific usage of a developer is for already existing sites, but even many new ones need a good tuneup from time to time. Third Party Integrations - The term API is used to describe doors that you can enter an already existing applictaion through in your site/app. A simple example of this is the Twitter feed at the bottom of this page. I used the Twitter API to hook into the OutsourceHound twitter feed and display in the footer here. More and more entire businesses are being built on the integration of already existing apps. Check out Zapier for an example of how this can be done. Payment Gateways - While this is technically a sister example of #5 above, it's slightly more complex. Stripe is an online payment tool that many online businesses use because it is so flexible. In fact, there's no existing tools for you to just put on your site. All Stripe payment tools must be written into your sites's codebase in order for them to work. A developer would be able to knock this out in no time...for you or I it would take hours of frustration. Don't do this to yourself. Site and Server Transportation - Because your site will experience such enormous growth of traffic and income you'll need to move it from a more basic hosting platform all the way up to dedicated hosting. This is no small task, and needs to be handled by a professional. Even with the pros in place it can result in some downtime of your site. Put an average player in charge here, and you'll be dead in the water. Not a good choice. The bar is constantly being raised in BOTH Audio and Visual aspects of websites. These A/V specialists will help ensure that you create and maintain high quality audio and visual experiences for your users. If a picture says a thousand words, then let's make sure those are the best 1,000 words we can say. Audio File editing - This is particularly useful for the many Podcasters out there. Have an audio specialist compile your feeds (for interviews, etc.) into one cohesive and clear audio file. Video Editor - With the Audio taken care of it's time to move on to the powerhouse of online media, Video. Adding things like Leadplayer to your videos, neat visual cues, links and messaging are all great ways to bring your video files up a few notches from the bland to the bombastic. Create Intro and Outro - Fiverr is chalk full of these guys. There are big booming "Radio Voices", sophisticated British Accents, and even Heavy Metal Band sounds out there to add a pop of culture to your podcast or audio files. Aside from Podcasting, this is great for online courses, or narrated presentations. Transcriptionists - There are specialized firms that offer very cost effective means of transcribing audio and video files. This is great for preparing into a PDF document for download, for SEO purposes (think of the amount of words you say in an hour! ), and just because some people might prefer to read/skim an interview than listen to the whole thing. YouTube Manager - YouTube is the second largest search engine online. How is it that so few of us pay particular attention to how well we're performing here? Well maybe a YouTube specialist would help. Curating comments, posting and promoting new videos, and overall management of a YouTube channel would go a long way. Podcast Manager - Again, for those Podcasters out there it is no small task to keep all of your files, feeds, and subscribers all in check. Luckily for you the popularity of Podcasting has also brought with it plenty of talented folks who specialize in maintaining this avenue of contact for us. Technology Specialist - While the iPhone is a marvelous tool the fact is that sometimes we need a bit more specialized tool in our bag to get the job done. Granted this person might be someone you just have in your Address Book, but they're a good one to have when you need something. Lapel mics, dSLR cameras, editing software are all big choices to make. Don't go off doing so alone...consult a professional, even if it costs you a few dollars. While recent web design trends have reduced the amount of graphics on some sites it does not mean that those remaining visual cues are less important. In fact I would argue that they're even more important now than ever. A great graphic artist will help with things like Featured Images, Logo and Avatar Design, and Site Header Images. Each will go a long mile towards branding your web business. Logo Design - Some logos are just timeless. Do you think that anyone will ever be able to rival the simplicity and grace of the Apple logo? Or conjure up images that stick in our heads like the Geico Gecko? I'm sure they will, but it won't be from an amateur. Spend the money on having an expert come up with a high quality logo for you and you'll never have to do it again. Website Header Image - The typical site header is 990x180 pixels. There can be a lot said in that tiny piece of real estate on your site. Take the time to thoroughly go through how each pixel of that space will be utilized. Maybe bring in your Copywriter, SEO expert, and Web Designer on this as well to ensure you get the right mix of beauty, grace, and impact for your business. Featured Images - In the social media world the importance of Featured Images for social sharing is becoming increasingly important. Finding a freelancer on Fiverr to create custom Featured Images for each of your posts will go miles towards giving your blog posts credibility with visitors. InfoGraphics - On the topic of social sharing, InfoGraphics are great ways to communicate large amounts of complex data in an easy to understand graphical manner. For this to be effectively done, however, much thought must go into the design of these InfoGraphics. A good graphic artist will be able to lay out these tools and present them to your audience in a way that will convey the message clearly and concisely. This is a favorite method of the guys at KissMetrics these days. They rely heavily on InfoGraphics to communicate the mountains of data they capture from users to relate broad ranging web trends. eBook and Course Covers - Assuming that you're creating some unique content of your own that will be delivered digitally, you'll need a fantastic cover image to go with it. Don't spend countless hours creating an amazing piece of content for your fans just to have them walk way due to your skills with Photoshop (assuming of course that your material isn't actually about Photoshop). A nicely done cover image has been consistently shown to increase conversion rates by double digits. Not a bad spend of capital. Marketing Collateral - Not all marketing is done online, and not even all online marketing is done on your website. Say you want to have a specialized Ad featured on a related website. Wouldn't you want to have a really great set of images and marketing pieces to go with it? Ad firms spend thousands of dollars to design these every time. Why not have someone take care of this for you on an as needed basis? Icons, Buttons, and Navigation - Your website may look a bit "cookie cutter" without some custom designed iconography to help visitors navigate around the site. This is usually reserved for top end custom sites, but as your business grows so may the need for this level of artistry. Writing good copy may well be the hallmark of a successful business. No where else do founders either prevail or fail in the growth aspect of their business. Ensuring that you have good sales and blog copy will reap enormous rewards in the profitability of your business. For a look at what truly good copy looks like, go check out Joanna Wiebe over at CopyHackers. Blog Content Creation - This is for your primary blog or website. Excellent copy is key in moving the needle for any business, whether that be a SAAS business or a cooking blog. There are some tremendous writers on UpWork, and Freelancer. 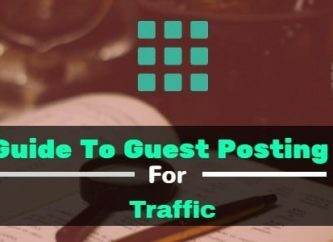 Guest Blogging - I would consider this as one step up from writing something for your own site, because Guest Posts have to be your A+ material only. If you're using TextBroker, I'd only go with a Category 5 writer to ensure excellent quality. Consider doing this yourself as it would have a high return on investment for big profile sites like LifeHacker, etc. 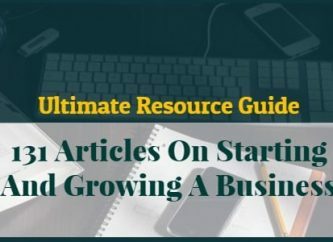 Article Spinning - Whether for SEO/SEM gurus or just good old fashion link building of your own this is a great activity to outsource. These articles don't need to be high quality, but do need to make good sense, so go with a Category 2 or 3 on TextBroker. 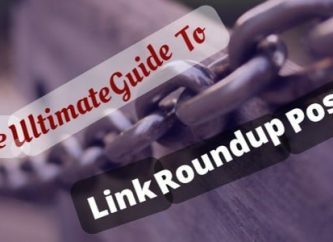 While link directories are all but dead at this point, there are some creative ways people are coming up with to create high quality backlinks on their own. This would be an ideal fit for those situations. Sales Copy - I'm hesitant to put this one on the outsourcing list, but I will in some instances. If you're a technical founder and don't have a lot of writing experience this could be a good fit. Another potential is if you have multiple products that you're selling and just need a large variety of sales copy out there. Writing 10 good sales letters can be difficult if you're too far into the woods yourself. Consider outsourcing this to one of those Category 4 or 5 writers again. Product Creation - If you're writing a book, making an online course, or any other type of printed media this could be an excellent place to outsource some of the development of that product. I would rate this in the Category 4 range of quality needed, but with good guidelines from you the founder it should be a breeze for any accomplished writer. Make up a good outline and let them fill in the blanks. Campaigns - We've already covered email marketing a bit, but there may be no place more important for good copy than in email marketing messages. This will often be a highly converting source of traffic, and one where you know you have an interested audience to begin with. This can make the messaging of these campaigns more direct and most often much more effective. Editing - This encompasses both the Products and the Sales Copy categories, but will be used only as a proofreader or editor of copy you've already created. If you're not confident in others to create material for you let someone who is an expert tweak it and get the most out of the hard work you've put in. Google and organic search engine traffic is a tremendous source of opportunity for any online business. Utilizing these tools to their utmost potential will unlock huge gains in your business, and gurus in the SEO/SEM space will allow you to do just that. Here are a few examples of how to best utilize SEO and SEM experts in your business. Keyword Research - I won't spend a lot of time on this topic as guys like Spencer Haws, the Empire Flippers, and Pat Flynn have done masterful jobs at doing so already, but suffice it to say that this is imperative if you want to drive organic search engine traffic to your site. A solid SEO member on your team will do the keyword research for you and provide you with a list of blog topics that you can either write yourself or farm out to one of your Content Marketers. WordPress SEO Optimization - Can we all give a big Lordy Thank You to @Yoast and his tremendous work on his Yoast SEO WordPress Plugin? I know many a internet marketer that would pay big bucks for such a tool, and it's out there in the WordPress plugin repository for free to anyone who wants to use it. What a great tool. However, it does take a few minutes to set up on each post. Would that 15 minutes of your time per post be better off spent somewhere else? I would think so. Remember, if it doesn't add unique value to your business You Should Not Be Doing It! Social Bookmarking - Sites like Digg, Reditt, StumbleUpon and Delicious are all great places to start your SEO journey and who better to do that quickly and effectively than an SEO expert? Analytics Updates - Whether it's Google Analytics, Keyword Ranking stats, or Adsense numbers, a good SEO or SEM partner will keep you up to date on all the latest in your site's performance in the search world. Don't overlook this as small changes in algorithms, link history, or negative SEO can really impact your bottom line. This is particularly true if you're depending on high traffic/conversion for your revenue (i.e. Adsense models). Link Building - Building out high quality, safe links is paramount to the growth of a site. Earlier in 2014 PBNs were touted as the easy and fast way to do that. Very recently we've seen (predictably for anyone with a half decent memory) Google really punish sites that utilized these methods as their primary source of inbound links. If PBNs are just a fad, then the job of an SEO expert is even more important. Their task being to get your site linked to by as many highly reputable sites as possible. Outside of a PBN that would include things like message board posts, guest blogging, and social media campaigns. Message Board Participation - Speaking of message boards, depending on your site's profile this could be a major form of traffic to your site. If you operate in a niche related to an already established popular message board (like com is for Real Estate Investing) then your participation in that site is vital to your organic search growth plan. Blog Commenting - While similar to Message Board participation, I do group this slightly differently just because of how important it might be for certain niches. Message boards might not fit you very well, but blog commenting may be very important to your business growth. Having someone strategically, and tactfully do this is a major way in which you can gain an SEO advantage over the competition. There are many times that a business will have a one-off project come up and no in-house expertise for managing it. And that's where people like Project Management virtual assistants come in. Through the use of established project management techniques, a successful conclusion can be reached using the proper resources and within mandated time and budgetary constraints. When the project is complete, the VA departs - leaving value, but no superfluous personnel on staff. When I first broached the topic of hiring a VA, Vicky pretty much laughed at me. The idea of having an assistant seemed somewhat outlandish. Since then, however, I have found out that virtual assistants are extremely common among those who run online businesses. The common misconception, I think, is that you don’t “need” a VA, because you are capable of doing all the work that they do, and if you can do it yourself, why should you ever pay someone else to do it? But that’s a mistake, and those people don’t value their time. If you value your time, you should think about ways that you can free it up. There are a lot of people you can hire to work on projects without sacrificing quality – stop trying to do everything yourself! Work - Like contractors, virtual assistants only work as needed, so you only pay for work done – not benefits, not equipment, not for someone to sit at a desk all day on Facebook (unless they are managing your social media accounts). Space - They work from their own office, so you don’t need to provide space. 24/7 - Virtual assistants from all over the world can ensure that there is always someone working on your business, even while you sleep. I love waking up to completed projects. Taxes - With a VA, it is relatively easy to show the IRS that they aren’t an employee, but the costs that you pay them are deductable. Lower Prices – Depending on what you need done, some VAs will work for less than $5/hr. I have even hired virtual assistants for $2/hr. Now, I certainly don’t want to broadcast that as the going rate by any means, especially if your VA is from a Western country, however, I will say that I have worked with VAs in that price range and had them do a variety of tasks, which I was very satisfied with. Timezones – If your VA does not live in your timezone, you might not find a lot of overlap with their work schedule. I have found that this can slow things done, especially if a task is not well defined and follow up questions need to be asked. Then again, if you do live abroad, this can be to your benefit. English – In my opinion there is almost no substitute for native English. Even the best writers we’ve worked with, if they aren’t native English will make mistakes that natives never do. If English is something you require then make sure you specify it and look for a native speaker. Big Picture Tasks – Sometimes it can be difficult to convey the big picture of what you are trying to do. Especially in the beginning, as the VA might not fully understand your business, and when you don’t know the big picture it is difficult to provide the best quality. Security – We do our best to separate everything important from our VAs. For example, they do not have access to any of our primary email addresses, even though that would make our lives a lot easier. Instead we create separate emails for them. Presence – Again, anything that requires physical presence in most cases is out of the question. Management - Although virtual assistants are supposed to save you time it does come with the added responsibility of people management. They need to be delegated tasks and communicated with if question arise. All these things do take time. Where To Find a Virtual Assistant? It’s really quite easy to find a virtual assistant nowadays. There are entire businesses dedicated to providing virtual assistants, however, I have always found that they tend to charge a lot more than other websites because they are essentially middlemen. That said, they usual have a screening process with the virtual assistants they offer so you might find that the average quality is better. Still, I’ve always been a big proponent of using upwork and freelancer. 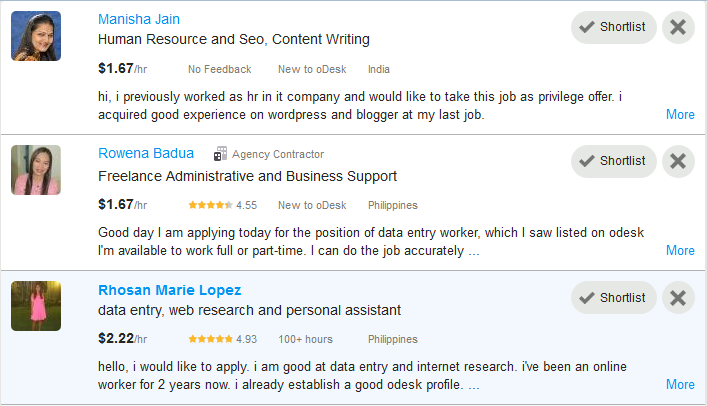 Upwork is a very well known site and has a large selection. With just about anything I advertise on that site I’m bound to get about 20+ responses in a day. Yes, there is a lot of garbage/spam and people that just respond to everything with no personalized message whatsoever, but you have to learn to filter through that and tease out a decent proposal. Another thing I like about Upwork is that people are competing for your job and therefore they tend to underbid each other, so you get great prices as everyone knows how often people choose the lowest. The other companies tend to fix their prices so there is no negotiating. On Upwork, I have received proposals for a little as $3.11/hr. In my opinion, these people have the same qualifications as the people on freelancer offering a $6.33 rate. Here is a comprehensive list of places to find a virtual assistant. I cannot personally vouch for the majority of these, as I have always been satisfied with Upwork for the tasks that I need done. I do think some specialize a bit more than others (for example, Fivver might not be the best place to hire a coder). Each site is different but, if we are to take Upwork as an example, it is really quite quick and easy. Submitting a proposal is free and takes all of 5 minutes. It does not commit you to accepting any responses. You simply need to specify the type of work involved, the pay, the hours, and then let the requests roll in! My name is Dave and I am looking for an administrative assistant to help me run two blogs. The blogs are acoupletravelers.com and avocadopesto.com. Currently I run these blogs with my girlfriend while we travel around Asia. We could use some help with tasks, mostly email, social media, and blog management. This is a very basic proposal to get the ball rolling. It doesn’t have anything specific and will likely get you dozens of responses. A simple trick to filter out the spam. Now, a proposal like that might get a lot of responses, but you will ensure better quality the more specific you can be. The Action - What the VA is supposed to do. The Duration – How long should they work on it. The Deadline – When do you want it done by. If you do not specify these three things you are leaving yourself wide open for a world of financial pain and frustration. For example, as many tasks involve online research, which can take up an infinite number of hours, you might find that your VA spends 5 hours looking for cooking schools in France (when really you only wanted them to look for 1 hour for Paris). You will end up paying a lot of extra money for a lot of information you probably don’t want. In addition, if you have a list of tasks, you are going to want to prioritize them to make sure they are getting done in the proper order. Lastly, if you can it can be beneficial to give the big picture. Aside from ADD, tell them why they are doing what they are doing. This might help them with their task and allow them to incorporate sound judgment in what they research/include. Also remember that you do get reviewed when the job is done and this will show up on your profile and can affect future negotiations. This is also very important on the hiring end. I almost never hire someone without a rating unless they really convince me with their proposal that they are trying to break in to Upwork and will offer me a great rate because they have not been reviewed. The ratings are out of 5 and I am looking for people with 4.5 or better, and then I also want to know where they “failed” by reading past reviews. In most cases what makes for a good VA are the same traits that are necessary for a good employee (hardworking, attention to detail, fast). In addition I also look for the following. English – At minimum you are going to need to be able to understand your VA and you are going to need them to be able to understand you. Make sure you have the appropriate level of English, both spoken and written, for the task. Organized – I am constantly asking my virtual assistants to keep track of names, dates, written documents, websites, tasks, etc. They need to be organized. Communication – If my VA doesn’t understand something I want them to tell me. I feel bad not paying for a job because the quality didn’t come back to my level of satisfaction. Communication helps us avoid this. Reviews – Of course I am looking to see that the VA I am going to hire has reviews and that they are positive. I won’t dip below a 4.5 on Upwork for example. Samples – In addition to reviews, if I am hiring a writer, for example, I will ask to see samples. I should say that I have had several times where the first task did not go well but then the VA performed above and beyond to compensate me for it, making me very glad that I did not let them go after the first error. Of course it really depends on a lot of factors. When it comes to virtual assistants I won’t necessarily say you get what you pay for. I think there are a lot of assistants who really are quite good but work for very little just on account of their circumstances aka they live in the Philippines. It also depends what they are going to be doing. Are they just sending out emails or are they writing articles? How important is English – will they be communicating with people directly on your behalf or will you be providing them with scripts? Also, the more you hire someone for the less you can pay them. So someone might work 40 hours for $5/hr but 10 hours for $7/hr. An important rule is to consider the gravity of the project. If it is a relatively simple online task like sending out emails then you can try to go for cheaper. If, on the other hand, you are looking for someone to build you a website or software, you probably don’t want to go for the cheapest thing out there. Consider the awful experience I had hiring a developer. Remember when/if you do hire someone it is a contractual obligation. At least in Upwork, the money has to be funded into Escrow before work can begin. Escrow is like a holding company that holds the money in neutral territory so that when the job is done it can be released to the employee. If anyone tries to renege on the deal they have to present their case to Escrow in order to retrieve their money. This prevents the employee from running off with the money and doing nothing, as well as the employer for not paying after a job is done. Again, it’s up to you. I know people who have several full time assistants working 40 hours a week 4 weeks a month. I also know people who have a VA that works 2-3 hours a week. Regardless, it is important to make sure that the work you are assigning is necessary. Just because someone might be working for $5/hour, doesn’t mean that doesn’t add up if you assign a bunch of tasks you don’t really need done. Be respectful of your assistant’s time and your money. Another thing to consider is how long it takes a VA to complete a task. Sometimes it is easy to get caught up in a low proposal of a few dollars per hour, but I have also seen Virtual Assistants take 3x longer than me to complete things, for example, 30 minutes to publish a post on Word Press. In this sense the hourly rate is not what it appears to be. It is not necessarily because they are lazy mind you, but not everyone has access to high speed internet or has the skill to know how to be fast with work. Personally, I really like to compartmentalize when I can and put each VA in charge of a specific task that I know they are capable of and can do well. So, as I said before, we have one VA who handles all the writing. She is basically a freelance writer by profession and has a decent command of English (at times there are a few gaps though). Another person pretty much only sends out emails, and the last person is a bit of an all-arounder. I think this is beneficial because certain tasks are more or less valuable than others. It doesn’t make sense for me to pay for the VA who writes articles to also send emails, because she gets a flat hourly rate that is higher for her skills on account of her command of English. If you want to work with VAs you have to know what to do with them! One thing I have come to do is basically to work with people directly after a few test runs through Upwork. The thing is Upwork takes around an 10% cut of what you send your assistant. So if they want to be making $6 an hour they are probably going to charge you $6.60 to account for it. The more you are paying them, the larger cost this is. I find that if you work with someone a few times they are happy to just work directly with you and you can pay them through paypal. If you send money to family/friends then the fee drops to 1%. It’s an opportunity to lower costs while at the same time putting more in the pocket of your assistant. Frankly, we kept the same UpWork rates and didn’t lower them even when we started working directly, but again that was a personal choice and as I’ve said before there are ways to do things cheaper than how we do it. I’m glad to know that more money is going to the people who work for us and not UpWork. In my opinion, UpWork deserves a finder’s fee but not an ongoing fee once the relationship has been established. I also find constantly logging into UpWork for every task tedious, I’d rather just send an email. This allows me to see all the tasks that have been done in the week and how long they took. It also allows me to prioritize seamlessly by reordering the rows. However, you should be aware that working through UpWork and the other freelancing sites provides some sort of security. If you’re not satisfied with the work or the person disappears on you UpWork has you covered and can retrieve your money for you through Escrow. Also, sometimes people like to build up reviews for other jobs so they like to work through UpWork . For this reason I usually work with someone 2-3 times and then I ask for their personal email address, to which I send them an email inviting them to work for us directly. I would not message them about this through the UpWork message system. Lastly, UpWork has a system in place where people can log in and do work so that you can keep track of how much work they are doing. I think this is really great if say, I’m hiring a programmer, because the work is much longer and more expensive and it is difficult to gauge how long things should take. If I am just hiring someone to send emails, however, I don’t find it to be that necessary because I know how long that takes and can see the time stamps on the emails anyways. Half the fun in having a VA is simply getting to know someone new. Recently one of our virtual assistants got married and sent us her wedding pictures. We’re hoping to meet up with her when we are in Bulgaria. 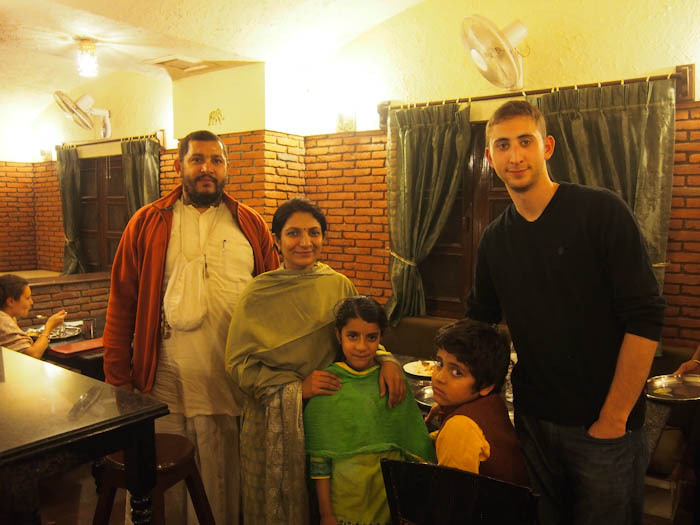 We also went and visited another VA who writes for us and is located in northern India. We met her family, as pictured above. Having someone you work so closely with is like having a business friend. While we don’t do skype calls with our VAs I have definitely have heard of some bloggers doing so, which can be a great way to break the ice but also clarify tasks, as sometimes emailing is more effort than it needs to be. Be Clear – If you’re not clear in your task you’re destined to get something you either don’t want or have the VA spend way more time than you want doing something. If you want someone to look for cooking schools in Vietnam narrow down the cities, and then narrow down further what the limit should be for the number of cooking schools found per city or you’ll end up with 100 cooking schools in Hanoi and 3 hours of wasted time. Think Ahead – It’s a funny thing having an employee and you start to get this feeling like you can just get whatever you want and all of the sudden you’re making requests for things you THINK you need but really don’t, or at least, you probably don’t need them for another month or something. Think ahead or you’ll end up wasting their time and your money. Maintain A Degree Of Separation – For me it’s a balance between wanting my VAs to do as much as possible but also not giving them access to the private stuff. I’d love for my VA to pay my credit card bill for me but I don’t want to give her access to those accounts. One thing I always do is create a separate email for them to work through. Yes this is an additional email that I have to check but it is worth it to keep them out of my main [email protected]. So one VA works out of [email protected], and that is where all the emailing takes place from. You can also create users for wordpress and give someone partial access. So, for example, I can create a username for selfmadebusinessman (by going to the backend and users tab) and give them author access, which will allow them to go in, load a post and format it, but not touch any of the other back end stuff or the other posts. That way they can upload posts for us, format them, even schedule them, but not do anything else. 5. Have Them Manage/Work With Each Other – Many people forget that Virtual Assistants don’t have to be completely separate. Why not have them work with each other? For one of our businesses I was working with a website manager, a communicator, and a writer. A typical process diagram would go like this. The communicator would speak with the client and get the terms. They would send them to me. I would send those terms to the writer to write an article. The writer would send the article back to me. I would send to the website manager to upload the post. They would send the URL back to me. I would send this to the communicator, who would then email the client. If you look at this, you can see how unnecessary it is that I’m involved in all these processes.Why not just connect them and have them work together like a team? 6. Personal is OK – It doesn’t always have to be work for business. I have had our VAs do work for us that is not directly related to the business. I have my VAs keep track of their own hours, at least the ones with whom I work off the platform. I give them projects and they keep a spreadsheet of how long they are taking on each one (of course, there are general guidelines as to how long I want them spending on each project to make sure they don’t go overboard). At the end of each week, I just have them bill me for the time. I can take a look at the spreadsheet if I want and ask questions (why did this take 2 hours?) I think at the end of the day you have to trust your employees,and having them simply bill me at the end of the week is very convenient. If they fudge a few numbers here or there, it really doesn’t amount to that much money relative to what we make, so I am OK with it. One thing I have realized is that it can be worth it to have multiple VAs and not necessarily more costly. In fact, it can be cheaper. As I said before, you have to pay someone according to their skills so if someone is capable of writing full articles then they probably deserve $7.5/hr, but if they spend 1/3 of their time sending emails then we are paying more than we need to for such a mundane task. Why not have two VAs - one for lower level tasks and the other for higher? Do you have a task that can be broken into several, equal tasks? Let’s say you want to email 400 people. Should you have one VA email 400 people or 4 VAs email 100 people each? The cost is the same but in the second scenario the time is 1/4th! Think about ways you can break projects into smaller, equivalent parts spread out over multiple VAs to decrease the turnaround. Here is a list of tools that can be very useful when working with a remote assistant. As an additional resource I recommend Chris Ducker's Ultimate Guide To Virtual Team Building Tools. SweetProcess: Web-based tool for documenting recurring procedures so VAs can replicate the process of repeated tasks. GroupMe: Web-based application for group chat. Skype: Great for video chats and holding meetings via conference calls. Messages: Great for one-on-one text communication. Glip: A fully searchable, real-time group chat & video chat, task management app. 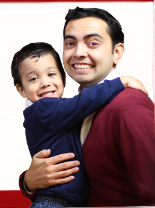 Its easy to use and nicely integrates with your other favorite apps. It has a nice android app. Google Calendar: A web-based application to share your calendar with Virtual Assistants. You can break it into categories and share only parts with your VA so that they don't need to know about your personal errands if that is also part of your calendar. Team Work PM: A really nice platform for measuring progress and timelines. Web Office: More of an outlook style platform from which you can Share documents, coordinate calendars, hold web meetings, manage tasks, build web databases, follow discussions, make announcements and run your business on the web. Trello: I've used this for working on projects with people. It's a nice free tool that allows you to share a board with several people and itemize to do lists and things like that. I think it is great as an organizer but does not necessarily present a lot of information well, so it is preferable to link from it to a Google Doc. Wrike: A web based PM application that integrates with a bunch of other useful programs like Google Docs, Drop Box, Jive, GMail and more! Basecamp: Web-based, project management tool. You can store all the files, tasks, due dates, and discussions with the appropriate project. Dropbox: Sync a file from you computer and then share it with your team. SnagIt: Great for sharing screenshots and brief screencasts. Sometimes written directions just don't suffice so it is useful to have this tool. SnapzPro X: OS X tool for doing screen casts and screen shots. LogMeIn: Allows screen sharing and remote control. This can be useful for demonstrating how to do a task or to allow your assistant to do work locally on your home computer. They also offer an easy-to-configure VPN service to allow direct access between computers without exposing them to the entire internet. Evernote Skitch: Evernote itself is great as an organization tool. Skitch is a product for annotation, shapes, and shares. Techsmith Jing: Free and simple way to start sharing images and short videos of your computer screen. HubStaff: Hubstaff is a time tracking and staff moniwtoring service. They have time tracking software for Windows, Mac and even Ubuntu. Time Doctor: Time tracking program that monitors the applications being used so you know if someone is spending loads of time on social media. LastPass: Password management program so you can share passwords, while minimizing risk. Agilebits: Two products. 1Password which is a password manager that goes beyond simple password storage by integrating directly with your web browser to automatically log you into websites, enter credit card information, fill registration forms, and easily generate strong passwords. Also Knox which lets you easily create, access, and backup encrypted file vaults. These vaults are great for storing large number of files of any size: confidential documents, images, source code, application data files, customer information. Plaxo: Sync your address book with an online address book so you can give your assistants access to your addresses without giving them direct access to your PC. Gyazo: Easy way to save and share screenshots and GIFs. You just need to share the url and it stores your previous screenshots. TinyTake: TinyTake can capture, annotate, and share screen captures and screen casts. Although their free plan support video capture up to 5 minutes only. Often times, those experts and specialists can do those things much better and faster than we can. Whether it's part-time or full-time virtual assistants (VAs), a website where you can find hired help for one-off tasks, or even just asking a friend or colleague for a favor, getting help can radically accelerate the growth of your business. I will tell you, however, that even though I eventually learned about Virtual Assistants and asking for help, I still didn't do it as much as I should have at first. It took me a while to get over the idea of "handing off my baby" to someone else. I don't know if it was a trust issue, or just my own pride getting in the way, but it was difficult for me, personally, to let someone else do the work that I thought I should be doing. Now, I currently run my business with the help of one full-time VA, one part-time VA, and several "experts" who are on call when I need specific things done. For example, a designer when I need some graphic work done, or a voice talent when I need some voice work done for my podcast. Read What 40 Successful Entrepreneurs Can Teach You about Hiring a VA! What Virtual Assistants Are Looking For In An Employer? I would look for honesty, integrity, intelligence, a person who can balance work vs. time and schedule that appropriately with consideration to the employee in mind (basically, don't go crazy with the workload). Of course, an employer who rewards well for hard work completed and shows that with some recognition. Lastly, I would want to work for someone who I can learn from and who can excel and provide opportunities for growth and success. If this post wasn't enough, then check out these awesome posts on virtual assistants. If you've made it this far it’s time to take action. What tips do you have for working with virtual assistants?